The Short Version: So many dating sites have gotten wrapped up in excessive features that it’s diluted the whole online dating process. Instead of adding to the noise, JDate, the go-to online community for Jewish singles, and its CEO, Michael Egan, focus on a core set of services. Making it easier for people to meet, connect, and actually date, JDate has even gone as far as to analyze user behavior and weed out unnecessary tools that less than 1% of their members use. In this article, we’ll cover how the #1 Jewish dating site is perfecting online dating for users — from the interface to the sign-up to the app to the team. Online dating can be overwhelming, especially with so many algorithms and tools out there. First you answer 100 questions, then you’re matched with someone, then you upvote or downvote them, then you can use coins for a new way to get matched — it’s enough to make you give up on dating all together and just become a monk. But JDate’s got it right. Rather than bombarding you with tons of services you may never use, JDate streamlines the dating process for millions of Jewish singles around the world by concentrating on what works, including a clean layout, easy sign-up process, intuitive app, and fanatical customer support. Recently we talked with Michael Egan, CEO of Spark Networks, the parent company of JDate, who shared with us the ins and outs of JDate’s well-oiled machine. Click the links below to learn more about each component of the site. “We’ve narrowed it down to those three core aspects and made it very intuitive for users to accomplish those three tasks,” Egan said. JDate focuses on having a site that’s fresh, instinctive, and functional. As an industry leader for 18 years, JDate knows how to listen to its users and adapt to their growing needs. Recently the team analyzed exactly how people use the site, pinpointing which features members use and removing the ones being used by less than 1% (i.e., E-cards and chat rooms), with the goal being to have a layout, sign-up process, app, and overall site that’s fresh, instinctive, and functional, not cluttered and complicated. Not only is this type of learning and readjusting system giving singles the best chance possible to meet someone, but it’s also creating a future where JDate can experiment and launch services or new elements of its services that satisfy both sides. 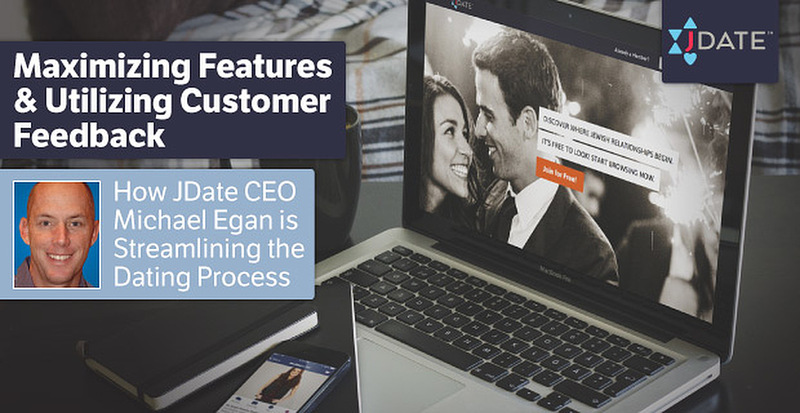 Egan emphasizes putting the customer first and investing heavily in the aspects of JDate that will help make that happen, including a hands-on customer service team and regular events in various cities like New York. Online dating can be intimidating, which is why JDate doesn’t make you do it alone. Available 24/7 via phone or email are real people who can offer one-on-one advice, recommend online tutorials, provide coaching services, and more. “Ultimately, if we want to fulfill our mission and really be focused on this life-transforming activity — dating — then we’ve got to put our customer first,” he said. JDate is also ramping up its off-site events and collaborations with various Jewish organizations and groups, including the “Fiddler on the Roof” Broadway cast and crew. Once again, they’re focusing on minimizing online distractions and getting singles into the real world. JDate will increase its off-site events to minimize online distractions and get singles offline. “We want to take a more active role in bringing people to true reality rather than virtual reality,” Egan said. Perhaps one of the most impressive things about JDate is they don’t have to do a lot of marketing — if any. They’re so good at what they do that members want to talk about the great experience they had and recommend the site to their single friends. According to Egan, word of mouth is the biggest source of new members. 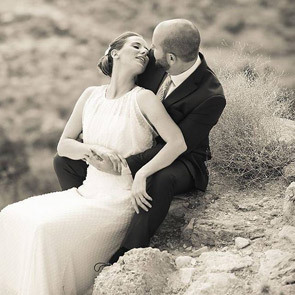 Over the years, JDate has created 50,000+ marriages in the Jewish community (more than all other dating sites combined), making it the biggest player in this particular space and a household name. 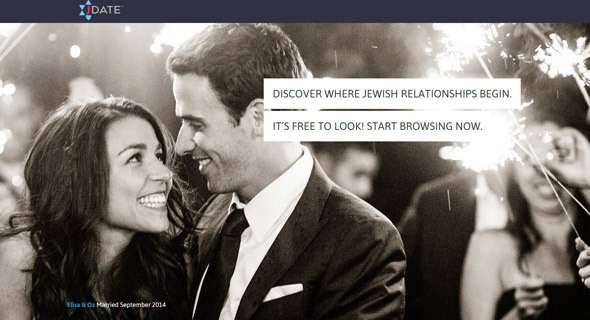 JDate is responsible for more marriages in the Jewish community than all other dating sites combined. “Every single Jewish person, certainly in America but also in Israel because we have a very big presence in Israel, knows JDate and knows that’s the site you go to when you’re looking for a partner in the Jewish culture and faith,” he said. And it’s that inherent connection with the user that is a huge motivating force for JDate to continuously up their game. “It’s very rare that you actually get to work day in and day out at a business that has that kind of effect on people, that positive effect, and we want to keep that going,” Egan said. Success stories are JDate’s bread and butter, connecting frustrated singles with happy couples who’ve been where they are and made it to the other side. Every year the site receives thousands of calls, emails, and letters from people all over the world thanking them for making a difference in their lives, whether it was just one special night or a date that led to a marriage. “If you come to our office and walk around the halls, we have success stories hung up on the walls because that’s what energizes the team here. Really making transformational changes in people’s lives is what drives us on a daily basis,” he said. 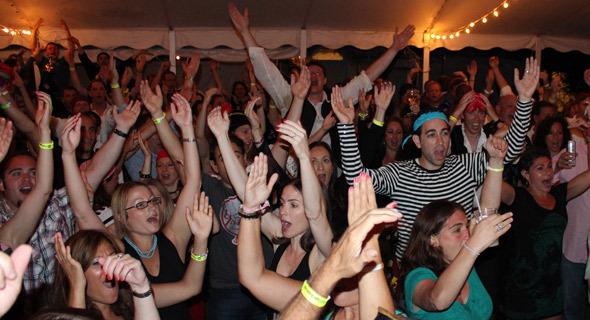 Founded in 1997, JDate’s mission is to give Jewish singles a place to meet people within the same faith for romance or friendship, in turn building the Jewish community and preserving traditions for each generation. Since its launch, JDate has seen its user base grow to 60,000+ subscribers a month, with about 1,000 people stopping their membership because they found their match. With offices in Tel Aviv, Israel and Lehi, Utah and headquarters in Los Angeles, Jdate has just over 100 employees who work closely with each other on making the site great, as well as the other brands in the Spark Networks family. “There is a common entrepreneurial, positive spirit across offices. 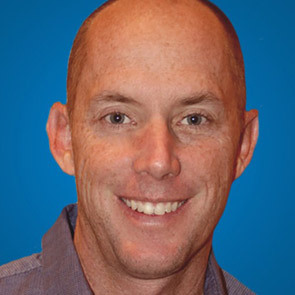 The team is really energized by the mission of the company and, as a result, really enjoy what they do,” Egan said. Egan, who’s helped run Internet juggernauts like Yahoo, became part of that close-knit team in January, bringing with him experience in search marketing and online product conception. And while Egan isn’t Jewish, he is close to the community (his sister and best friend are both Jewish) and knows how to put the right people in the right place, which sets the company and, most importantly, the users up for success. “My job is to make sure we have team members who truly understand and can be a representative and ensure that we have an authentic voice with our customers,” he said.